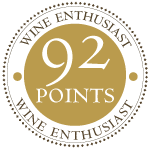 “One of the four vineyards that this winery entirely uses as a monopole bottling, this wine shows smoked pork, baked raspberry, crushed rosebuds and a touch of sesame on the nose. 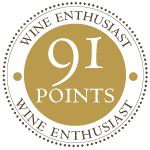 The palate’s backbone is a tangy cranberry fruit that is enhanced by pencil lead and cedar spice.”. The Guidotti family started their farming in Arroyo Seco with dairy, sugar beets and lettuce. 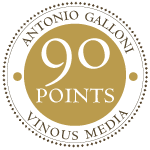 In 1951 the brothers’ father purchased this property in what is now in the Santa Lucia Highlands Appellation, at the time the property was used mainly to grow barley and to graze cattle. The Guidottis continue to farm lettuce, seed crops and other row crops here. 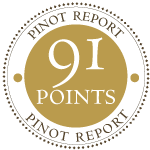 In 2008 they added 12 acres of Pinot Noir to their ranch, located at the southern end of the Santa Lucia Highlands, choosing clones 115, 667 and Pommard. 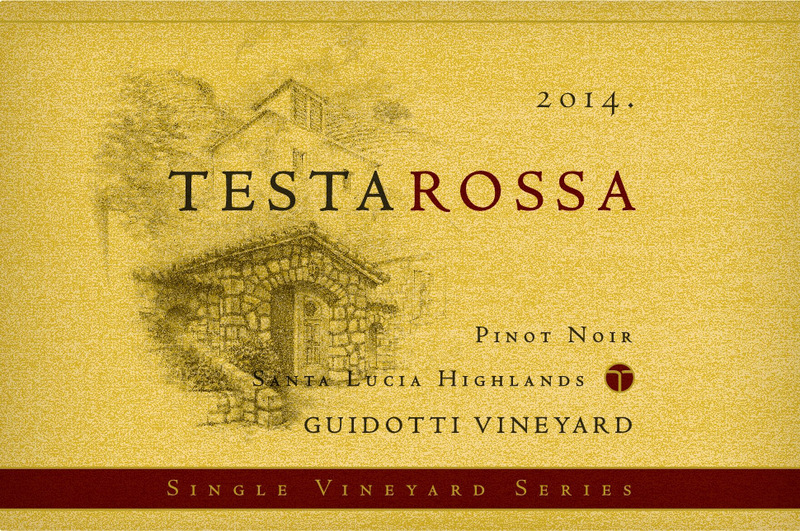 Testarossa has been making Guidotti Vineyard Pinot Noir since 2011.